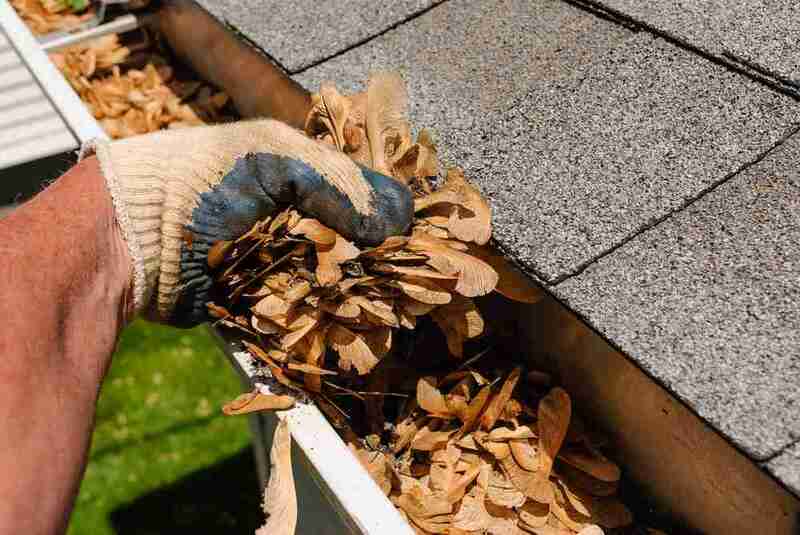 When comparing debris during seasons, fall definitely beats summer; however, this does not give you the luxury of failing to clear your gutters during the summer. Your gutters can still get clogged up throughout the summer months. Just think about all of the debris that blows around from the strong winds from summer storms, the branches and leaves that fall off of trees, and even the debris from fireworks from the Fourth of July—all of which could make their way into your gutter system and simply sit there all through the summer. Since fall tends to be worse with debris than summer, you need to make sure that your gutter system is ready to tackle the next season. At 2nd2None Roofing and Construction, we come across a lot of homes that suffer serious roof damage due to leaks that are caused directly from not cleaning and maintaining their gutter systems. Here are three end-of-summer maintenance tasks that you need to maintaining your gutters. Prior to packing up and storing your water hose for the fall and winter season, you will want to grab a high pressure attachment and use it with your garden hose to push out any accumulated debris in your gutters. If you have any extra-stubborn areas or extra-large debris, you can slide on a pair of outdoor work gloves and remove the debris by hand. If you come across extremely dirty areas in your gutter system, you can grab a five-gallon bucket, fill it with warm water, and a mild dish detergent. Use a heavy-duty sponge to scrub that hard-to-remove debris away. As you are cleaning your gutter system, make sure to keep an eye out for any wear and tear, uneven areas, loose brackets/screws, and minor or major leaks. If you come across any loose brackets, screws, or other components, tighten them up as you go. There may be certain areas of the gutter that you need to replace because they are simply too worn down. Make sure that you understand that gutter repair is something that needs to be done sooner rather than later. When you put off gutter maintenance and repairs, the chances of ice dams increase significantly, which could potentially cause the entire gutter system being pulled away from your home’s roof. While you can trim your trees and rake up leaves all season long, it can only do much to prevent the clogging of your gutter system. Eventually, debris is going to make its way into your gutters, along with small rodents (such as mice and squirrels) who need a home. The one thing that can help to prevent both of these issues throughout the year is to install gutter guards. Gutter guards will also prevent other issues that can be expensive, such as ice dams, cracks in the foundation, and more. For more information about preparing your gutter system for the fall season, reach out to the professionals at 2nd2None Roofing. We offer Free Estimates!